The Kawartha Art Gallery had its beginnings in the late 1960's, established as the Kawartha Arts and Crafts Association. Later a small house at 8 Victoria Avenue was rented and The Lindsay Gallery was incorporated as a nonprofit, charitable organization and officially opened on April 24th, 1976. In the early 1990’s the Gallery then moved into its current location, the second floor of the Lindsay Public Library. The Gallery organizes and mounts 8 to 10 exhibits a year, which are booked up to two years in advance. Exhibits of smaller works of art for sale are featured in the Gallery Showcase each month. Over the years the Gallery has acquired a substantial Permanent Collection. All of the pieces within the Permanent Collection belong to the citizens of the City of the Kawartha Lakes and the collection now consists of over 200 original works of world-renowned Canadian artists including A.J. Casson, Norval Morrisseau, York Wilson, Ernest Thompson Seton and many others. Managed by a volunteer Board of Governors, the City’s recent funding and the community’s continued support of the Gallery are helping the Board to put into place strategies to ensure that the Gallery’s doors remain open for many more years to come. The Gallery offers adult and youth art programming, juried show exhibitions, lectures and workshops. We also provide programming for Community Living, the Ross Memorial Hospital and a curriculum-linked, exhibit-based programs for elementary school children and their teachers. The programs are based around Gallery exhibits as well as pieces from within the Permanent Collection and meet curriculum requirements for the different grade levels. Art classes are also available through the Gallery. The Kawartha Art Gallery is located upstairs in the Public Library at 190 Kent Street West in Lindsay, Ontario. We are open Wednesday through Saturday 10:00 – 11:30 am and 12:00 – 4:00 pm. Closed between 11:30 to 12:00 daily and admission to the Gallery is FREE! For more information please visit our website or contact the Gallery by phone at 705-324-1780 or email at art@kawarthagallery.com. Slideshow photos courtesy of Bruce Young. 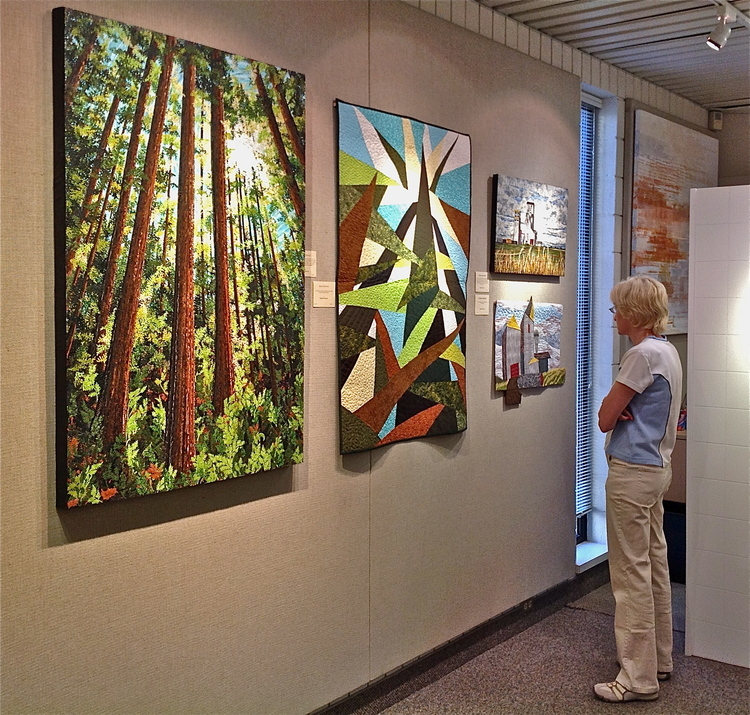 KAWARTHA ART GALLERY IS ON THE ARTS & HERITAGE TRAIL.